Morellato gave birth to a new concept of luxury, no more ostentation and excess, but a concept that satisfies the tastes of the contemporary customer. The values that distinguish the brand are the same ones that led to its success: quality, preciousness, a look to contemporary times, harmony. What makes Morellato a unique and recognizable brand, it is the perfect union of harmony of the proportions, preciousness of materials and refined Italian taste. 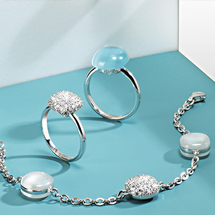 From the beginning, the jewellery collections have brought together priceless materials including silver, real gemstones, natural pearls or diamonds, as well as more affordable materials. The result is of outstanding value in terms of style and creativity. The Italian design is combined with the exquisite nature of the collections, which are all targeted to achieve competitive price positioning. Together all these factors led to Morellato success. The growth of the brand not only in Italy, but also in the international markets is due to the quality passed down from generation to generation, the skilled use of raw materials and control over the production and distribution process. 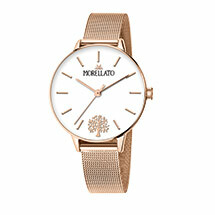 The Morellato story started in 1930 when Giulio Morellato opened a watch and jewellery studio in Venice. After a few years he specialised in producing leather straps for wrist watches, and began also to produce handcrafted jewellery in gold and silver. 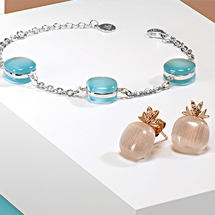 In the Nineties, the brothers Massimo and Marco Carraro, the sons of Giulio Morellato’s partner, acquired the entire company, giving birth to the innovative concept of “jewellery for living”. The brand’s collections have embodied this concept over the years becoming an evocative and highly successful expression of the brand’s spirit. 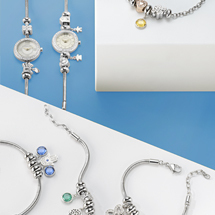 Jewellery, precious yet easy to wear, timeless pieces for everyday life, that lives and it is brought to life by women that wear it at any time of day. 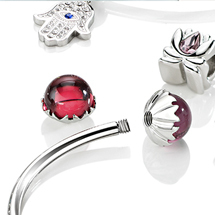 Morellato’s innovative concept transformed the tastes and desires of contemporary women. Women recognised that “jewellery for living” was an invaluable ally to accompany them on any occasion. Empowered by the brand’s long-standing tradition handed down from generation to generation, by its exclusive design and innovative style, the Carraro brothers turned Morellato into a perfect example of Italian success worldwide. The first decade of 2000 saw the Morellato international growth. 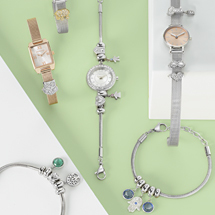 Over the years, the collections and their products continued to expand until the first watch lines were produced. 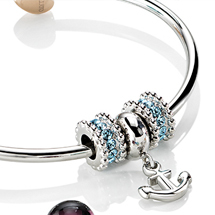 The watch lines soon established themselves in the market. The number of stores both in Italy and abroad increased. Today Morellato is presented in 45 countries worldwide, particularly in Europe, the Middle East and Asia. Morellato’s distribution network now boasts 3.000 stores. In Europe, the brand can be found in all the main department stores, in the best watch and jewellery stores, in multi-brand distribution networks and in its own flagship stores. In the Extra - European markets, Morellato is distributed through free standing and shop-in-shop sales points. Starting from the SS16 collection, the new brand ambassador is Michelle Hunziker. Over the years, Morellato has interpreted its collections through international press and television campaigns which became iconic. These campaigns have all featured stars of international fame: from Bar Rafaeli to Irina Shayk, from Sara Sampaio to Ma Su - renowned Chinese actress - and Laura Sanchez.